Sister Fatima Barkatullah began her Arabic and Islamic studies in Egypt, at prominent institutes such as Al-Fajr Centre, Qortoba Institute and Al Azhar University. She continues to study, lecture and write on Islamic Law, bringing wisdom of Islam to lifer for her audiences. 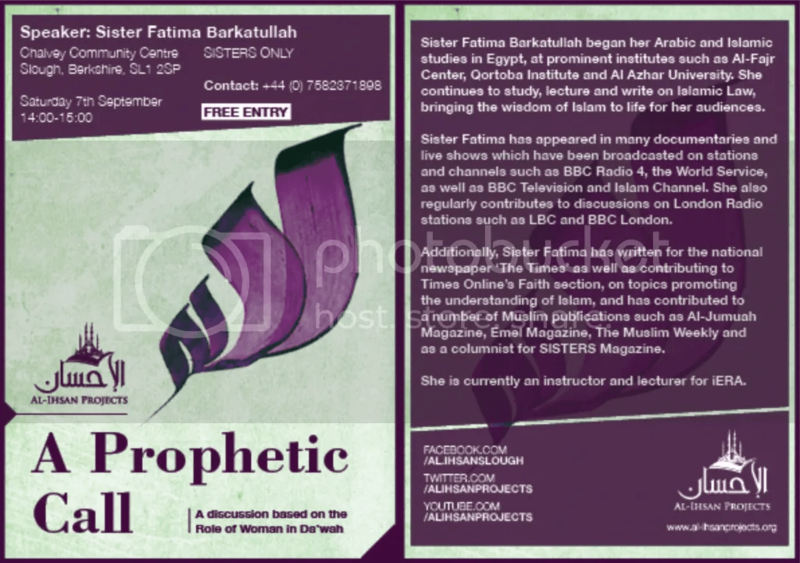 Sister Fatima has appeared in many documentaries and live shows which have been broadcasted on stations and channels such as BBC Radio 4, the World Service, as well as BBC Television and Islam Channel. She also regularly contributes to discussions on London Radio stations such as LBC and BBC London. Additionally, Sister Fatima has written for the national newspaper ‘The Times’ as well as contributing to Times Online’s Faith section, on topics promoting the understanding OF Islam, and has contributed to a number of Muslim publications such as Al-Jumuah Magazine, Emel Magazine, The Muslim Weekly and as a columnist for SISTERS Magazine. She is currently an instructor and lecturer for iERA.